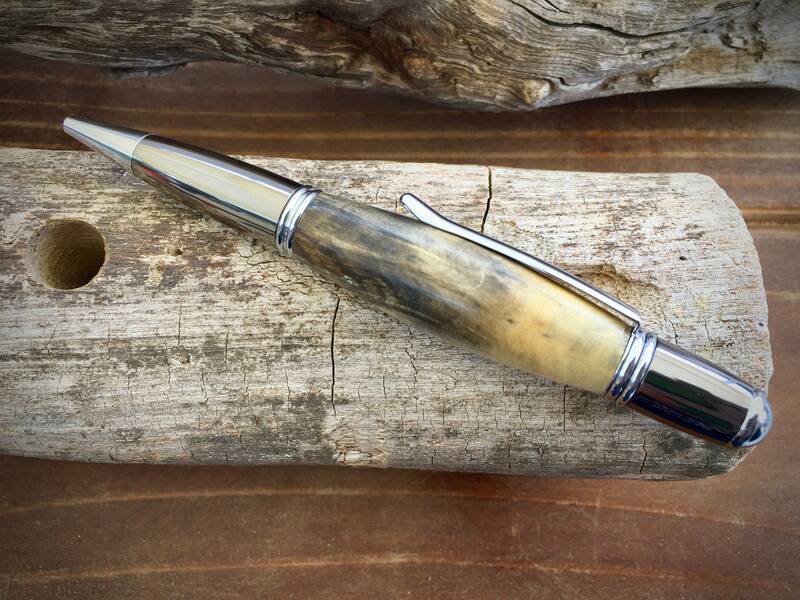 Beautiful handmade twist ball point pen, perfect for a one-of-a-kind gift. This pen you will receive is the pen in the photo above. 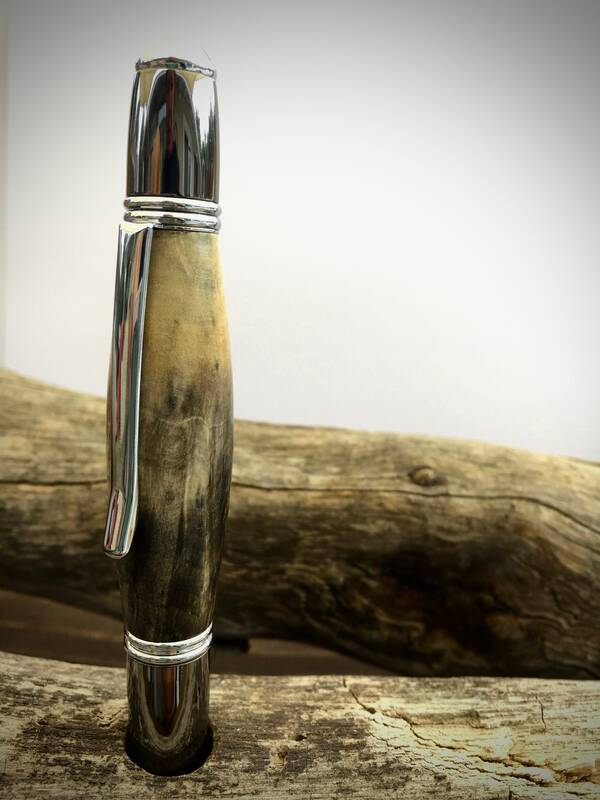 The barrel is made of stablized buckeye burl with gun metal and chrome accents. 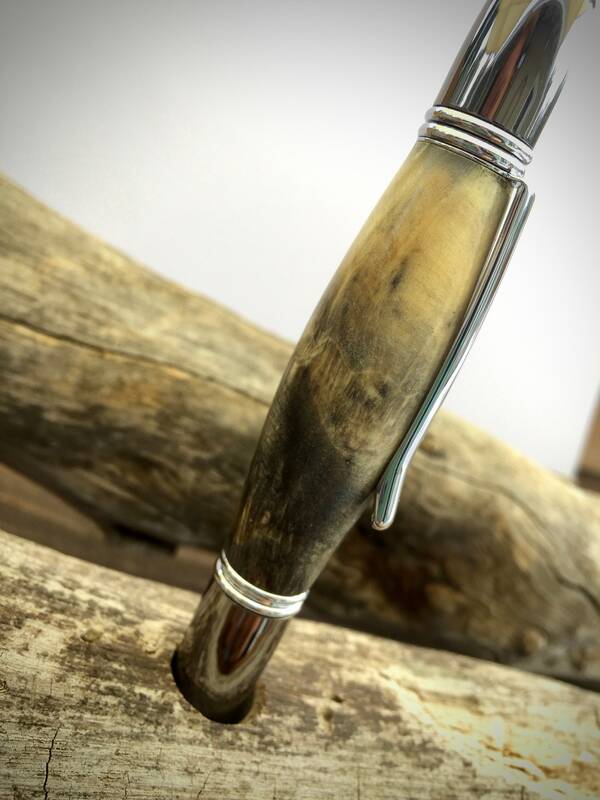 This was hand turned on a lathe by us, in house, and polished to a high shine. 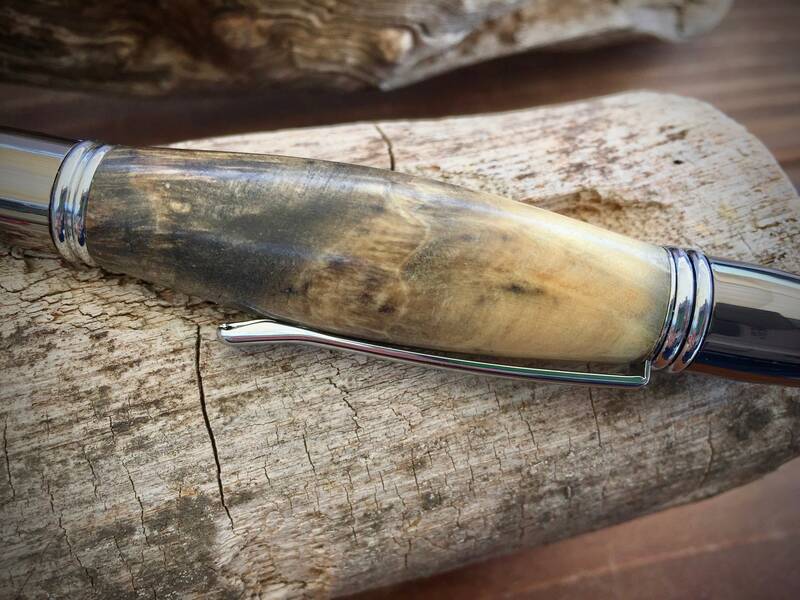 All of the items in our shop are handmade by us and never mass produced. 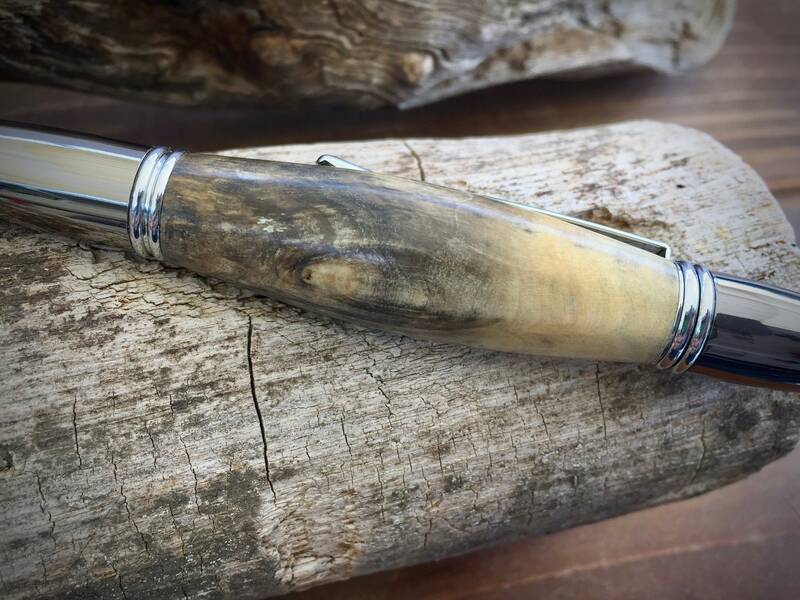 We are creating new items and products every day, so be sure to check back often. And if you are looking for something in particular, we create custom order and products all the time. Contact us for more details. Most orders usually ship within 3 days. Custom orders may take longer. Refunds can be made for items that are shipped back to me undamaged within 30 days. I do not refund the additional shipping cost, only the original payment. Custom orders usually cannot be returned. If there are any damaged or missing items, please contact me.